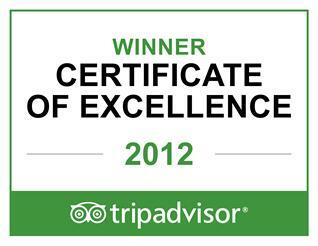 TripAdvisor’s Certificate of Excellence award honors hospitality excellence. The accolade is given only to establishments that consistently achieve outstanding traveler reviews on TripAdvisor. Approximately 10 percent of accommodations listed on TripAdvisor receive this prestigious award. Travel Choice Award calculations are based on information submitted from over 20 million reviewers, which are presented in the form of top 10 and top 25 lists. Congrats to Sandals and Beaches Resorts for outstanding properties! As a beach destination, Antigua is hard to beat with one of the driest climates in the whole Caribbean region, making it particularly popular among sunseekers. Antigua and Barbuda enjoys an average of eight and half hour of sunlight every day. A vacation package to Antigua, one of the two Leeward Islands, has all the right ingredients for a fabulous holiday. Antigua was once the hub of British sugar cane production and the remnants of that time period remain today. Sail-less windmills and 18th century forts grace the landscape. One major center for activity is English Harbour where visitors will find wonderful restaurants and shops with colonial architecture overlooking the marina. 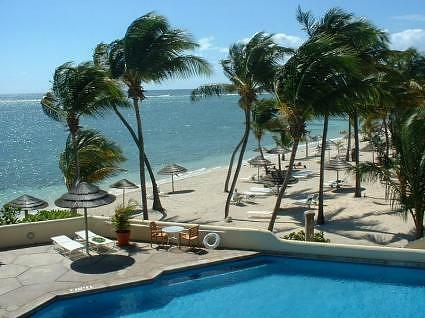 Antigua’s hotels are spread along a magnificent coastline. There are 365 beaches in Antigua, a perfect beach for every day of the year – most are quiet and protected by reefs, so feel free to explore them all! Scuba diving and snorkeling are also quite popular on Antigua. Honeymooners or families will find plenty of adventure, from horseback riding and windsurfing to golf and fishing. Antigua is known as a sailor’s paradise, and is a popular mooring spot for a variety of vessels, including luxury yachts. You can charter your own yacht, complete with crew, at most Antigua hotels and spend a day sailing with the rich and famous. Whatever your idea of the perfect experience, whether for a week or a weekend, there’s a destination to meet your need. So go on, reward yourself! Come to St. Lucia and it will not take you long to see why the island became known as the Helen of the West Indies – and why the French and British empires spent almost two centuries fighting to possess her. The island’s French legacy can still be heard in the local patois, seen int he many Gallic place-names and enjoyed in the irrestistible French Creole cuisine to be found in hotels, restaurants and bistros. St. Lucia is large enough to provide visitors with breathtaking contrasts and small enough to ensure that those who want to laze their days away in peace and quiet can do just that. The climate on the island is tropical with temperatures ranging from 70 – 90 Fahrenheit. The rainy season is June – November, but don’t expect a constant downpour; rather, there are numerous short but incredibly intense showers. Trade winds provide breezes year-round, regardless of the season.Perfect for a day at the beach! You’ll see banana and cocoa plantations, the crater of a dormant volcano, bubbling sulphur springs, mineral springs where visitors can bathe, 18th century forts and sleepy coastal villages. And could you really leave St. Lucia without seeing the Pitons, the massive twin volcanic cones that have become the island’s signature image? Lovers will search out secluded beaches, night-owls will find entertainment in the hotels, and bars, and yacht crews will find dozens of safe harbors, from small coves to an 83-acre marina and the large natural harbor, once the world’s 14th busiest port, which is overlooked by Castries, the lively capital town where French Creole houses can still be seen. Divers, snorkelers, hikers and golfers will all find happiness on St. Lucia. St. Lucia is the perfect destination for Caribbean weddings and honeymoons. The natural beauty of this Caribbean tropical island seems to have been created for romantics. 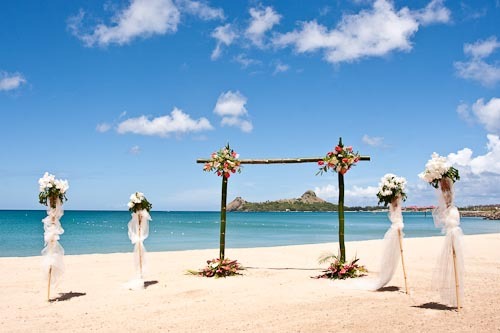 Palm fringed beaches, elegant old plantation houses, the soft tropical air, hypnotic steel band music, the tantalizing aroma of the cuisine all combined to make weddings, honeymoons and anniversaries popular on St. Lucia. St Lucia offers you the freedom of having your wedding just the way you want it. Wonderful climate, astounding beauty and friendly islanders make St. Lucia simply perfect, Simply Beautiful for your special wedding day. 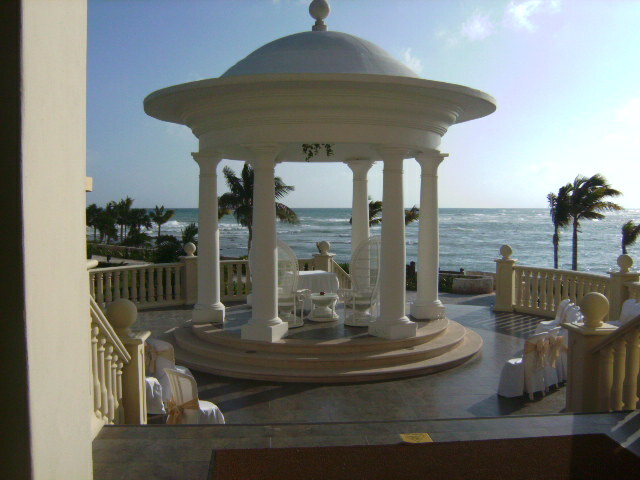 Now is the time to all Carter Elite Travel to assist in making your Destination Wedding/Honeymoon come true. We are Certified Destination Wedding and Honeymoons Specialists and truly enjoy assisting our couples to make their dreams come true. Call one of our Romance Experts to get started at 310-722-3099 or send a email to DW@carterelitetravel.com! When you are ready to get started planning your beautiful Destination Wedding, give us a call at 310-722-3099 or send us a email at Info@carterelitetravel. 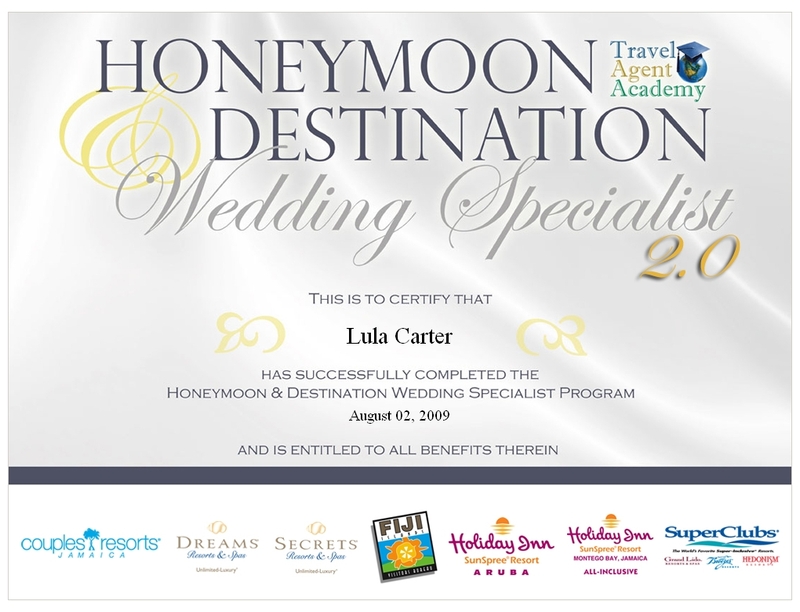 We are certified Destination Wedding and Honeymoon Specialists, so we treasure each and every bride we have the opportunity to assist in making their wedding a dream come true! A vacation to Antigua, one of the two Leeward Islands, has all the right ingredients for a fabulous holiday. Antigua was once the hub of British sugar cane production and the remnants of that time period remains today. Sail-less windmills and 18th century forts grace the landscape. One major center for activity is English Harbour where visitors will find wonderful restaurants and shops with colonial architecture overlooking the marina. 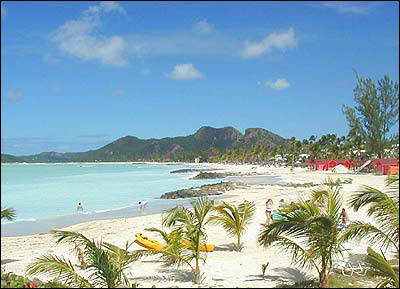 There are 365 beaches in Antigua, a perfect beach for every day of the year – most are quiet and protected by reefs. Antigua is known as a sailor’s paradise, and is a popular mooring spot for a variety of vessels, including luxury yachts. Enjoy culture, tranquility and so much more. We have daily travel deals that we would love to share with you so give us a call today!